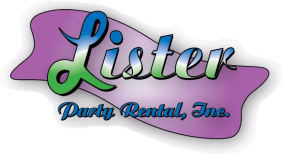 Welcome to Lister Party Rental! Proudly Serving the Conejo Valley for over 36 Years! Would you like to Add Delivery to Your Order? Click Here! Weekend Rentals allow for a 4 day maximum rental period. You may pick up your order Friday and Return it on Monday.